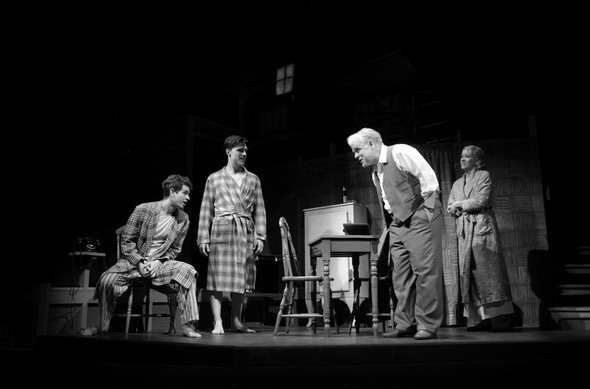 Arthur Miller’s Death of a Salesman was recently revived at the Barrymore Theater on Broadway with a modest run of 16 weeks ending on 2 June 2012. It has recently been nominated for several Tony Awards, including Best Actor in Featured Role, Best Sound and Lighting Design and Best Revival of a Play. 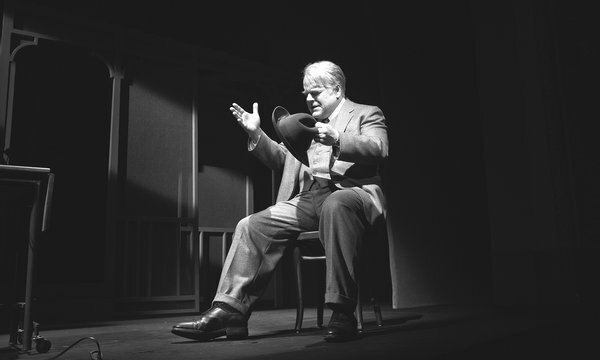 Although the play has received both good and bad review with the New York Times called it “the most lucid ‘Salesman’…ever seen” with others such as the New Yorker giving it higher praise with the words “luminous and blistering” as well as the Daily Mail, which said the performance were “powerful and emotionally rich”. I am not a theater critic so I will refrain from expounding on the characters’ acting skills or general direction of the play. 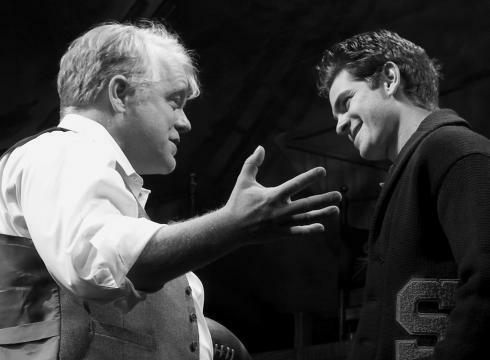 I will say that it was thrilling to see Phillip Seymour Hoffman and Andrew Garfield (of the film ‘Social Network’) perform up-close, on stage in real time. 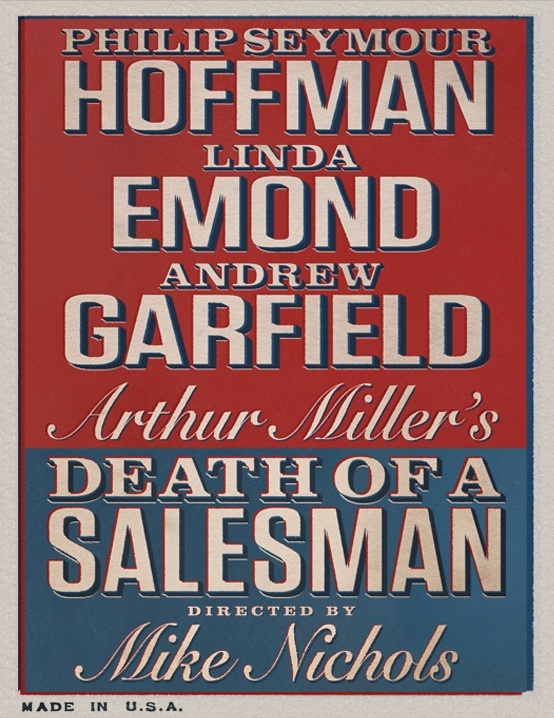 And more than the male performance was the acting of Linda Emond as Willy Loman’s wife, the performance I had least expected to stand out and one that blew me away with her rendition of the classic speech defending her husbands ego when she claims with rigor “Attention must be paid”. Apart from the acting, what I enjoyed most however, were the wonderful sets of the play and how they seamlessly fit in with the production and original text. Director Mike Nichols decided to revive the original sets for the play designed by Joe Mielziner for the 1949 production as well as the original score. This, in my opinion, was what made the play truly great. The set drew me in to Miller’s portrait of failed American dreams of the middle class man; struggling against the world and his own egoistical nature to ‘make it big’ . 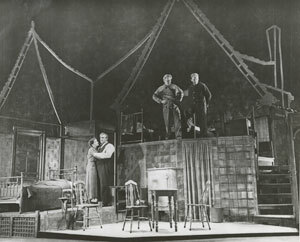 The sets brought the pieces of the story together, cleverly showing Biff and Happy, Willy Loman’s sons resting in bed on the upper levels of the house, shown cut-away as though in section while we watch him come through the doors of the home weighed down by his bags of samples, heavy enough to contain a lifetime of disappointments. We can watch the reactions to Willy’s words as we see the boy on the upper level get up and move around the room. This set allows so much more to be written and said than is possible in a set that is created as a whole. Parts of the story can be told congruently and there is no need for winding narratives or going back and forth in time. It takes advantage of the viewer’s ability to absorb several moments at once and hence makes the play all the richer for it. Joe Mielziner was an American theatrical scenic, and lighting designer born in Paris, France. He is “the most successful set designer of the Golden era of Broadway”, and worked on both stage plays and musicals. In the course of his career, Mielziner won five Tony Awards and was nominated for another seven, as well as the Drama Desk Award for Outstanding Set Design. His influence extended outside of the theater. He was acquainted with the American artist Edward Hopper, who is said to have modeled his well-known painting Early Sunday Morning after Mielziner’s set for Elmer Rice’s play Street Scene, produced in 1929. Live Design Online has a wonderful interview recounting set designer Brian Webb’s struggle to recreate the original sets of the play, the drawings of which he found in the New York Public Library. In 1998, Webb was struck by the ground plan, and how sculptural and three-dimensional it was. Faced with the library’s restriction on taking materials home, he used clear tabloid-sized paper with a ¼” grid and clear gridded acetate, laid over the originals, to transcribe copies. “I copied the plans point-by-point, connecting the dots, and putting my copies under the transparent original drawings to check my accuracy,” he explains. Webb scanned and printed his copies, then made a ½” scale presentation model he keeps in a Plexiglas case in his living room. 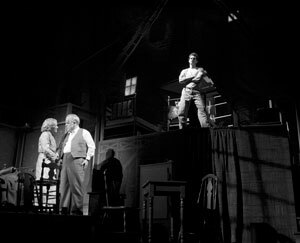 Bill Mensching’s ShowMotion built the sets, which were painted by Scenic Art Studios. “I don’t think in Mielziner’s lifetime his scenery was ever so lovingly created,” concludes Webb.